One of the ways in which estate agents can market your property is by holding an “open house” day. The phrase “open house” has been known to send shivers of trepidation through sellers who picture hoards of couples fanning out like a SEAL team in search of Osama Bin Ladin through their home, peering into cupboards and drawers, whilst their children career unchecked around the garden attempting a little spear fishing of the Koi carp with the bamboo canes that formerly supported the tomato plants. The reality could not be further from the truth. We discuss the idea with the seller as part of our initial discussions on marketing the property to best advantage. If the idea is appealing to the seller we will choose a date that best suits them – this is almost always at a weekend as this provides the sellers with an opportunity to take themselves and their children off elsewhere and is the time when a critical mass of buyers is likely to be available. 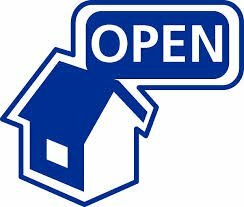 We will not publicise the open day on our website but we will inform interested applicants individually that viewings are to be concentrated on a particular day and book an individual time on that day for the applicant to visit the property. Only one set of applicants will be in the property at any one time. Each applicant will be met and shown the property by a representative of No-Flies. Anybody turning up at the property without an appointment will not be allowed entry. In our view an “open house” can be a very useful tool in marketing a property. However, bear in mind that there will usually be some potential buyers that cannot view the property on the day of the “open house” and, depending on the popularity of the property, these people may need to be accommodated separately.